This Election Day Hoboken voters have a question to vote on that could shape our city’s future -- whether we should use runoff elections if a candidate for Mayor or City Council doesn’t win a majority of votes. The answer is, YES! Runoffs are used in most every similar NJ municipality and require a candidate to earn 50% of the vote to win office. Hoboken doesn't though, and as a result are the only city in the state that has a Mayor elected with less than 50 percent of the vote. You might recall last year's crowded and confusing mayoral race, where we had six people running with 68 percent of residents voting against the candidate who won. It’s not really democracy if your vote doesn’t count. Establishment politicians and special interests know this and use this broken system to divide our community and then pander to those smaller voting blocks, and win. Runoff elections would require candidates to create broader platforms and once elected, broader policies, which benefit the most number of residents as possible, not just the select few who elected them. Your support on this question would mean every vote counts -- making it harder for candidates to intentionally divide the community for political gain in future elections. The question will be at the bottom of the ballot and I really hope you will support and spread the word to see fair elections in Hoboken! Just last November, Hoboken had 6 candidates running for mayor and 14 running for City Council to fill 3 seats -- a political circus that confused and frustrated many voters. In response to residents concerns, an overwhelming majority (7-2) of the City Council approved a ballot referendum which would allow our community to collectively decide whether or not to re-institute runoff elections. Mayor Bhalla vetoed the ordinance, spreading half-truths and politicizing the issue, but the Council responded by overriding him (7-2) to let the people decide (click here to read the NJ.com article). Without runoff elections, true independent candidates face an uphill battle and a nearly impossible task to run for office without institutional support as crowded races favor the person who can raise the most money, which is usually the incumbent. That wasn’t always the case though. In 2007, Dawn Zimmer lost her election to City Council in a four-way race to a long-time incumbent, but won head-to-head in a runoff. Without a runoff, Dawn Zimmer would never have sat on the City Council...she would have lost in the winner-take-all scenario we have today. A similar outcome also just occurred in the 2017 Jersey City Downtown Ward E runoff where the candidate backed by the establishment won in the general election, but lost to an upstart in the runoff. So, in trying to block runoffs, Mayor Bhalla is essentially limiting the viability for independents to run for political office in favor of himself and candidates that he supports. Reinstating runoffs allows local candidates a chance to make their case on municipal issues without having them distracted by the polarizing partisan politics found at the state and national levels. I believe that we need to continue to challenge the status quo to ensure that new energy and new ideas are encouraged and elevated by Hoboken's electoral process, not thwarted by establishment politicians. Keep in mind, Mayor Bhalla was not supported by 68% of voters, earning less than 1/3 of votes. Runoffs would return majority rule, and his opposition to runoffs calls into question his ability to actually win a majority vote. It is further disappointing to see Mayor Bhalla spreading misinformation and half-truths to make his point. The Mayor has cited reduced voter turnout in the last Jersey City runoff where the mayoral candidate wasn't even in the runoff and fails to mention that the last time Hoboken held a runoff election for Mayor in 2009 turnout actually increased from the general election. Meanwhile, he suggests that he supports an instant runoff system that, while certainly worth exploring, is not currently allowable by state law and even if permitted, likely won't roll out before the next mayoral election. The mayor references “massive vote-buying” which although has significantly decreased over the years, is still sadly an issue but not unique to runoffs. Perhaps our mayor’s energies are best spent suppressing the referenced vote buying, not stopping the people’s right to decide whether or not they want a runoff election. Think about it, should we blame the voting process for Russian meddling, or should we aim to end Russian meddling? Sadly, all of this is meant to distract from the fact that Mayor Bhalla is concerned that re-instituting runoff elections would hurt his own chances of re-election as he has not demonstrated the ability to secure majority support or to work collaboratively with his fellow elected officials. This is a deeply cynical ploy that puts politics over our city's values of transparency and openness. The Question As To How Our Elections Are Run Is Now With You! Vote Yes On Local Question #1 To Bring Back Runoffs. Some have contested that there is no change in the outcome of an election, however the election of Dawn Zimmer to Council upends that. In 2007 Zimmer ran in a four-way race, and came in second in the general but won the runoff. Just this year, James Solomon in Jersey City’s Ward E came in second in the 5-way Council race, and won the runoff. The same occurred with Reed Gusciora in Trenton, who ran in a 6-way Mayoral race, coming in second in the general but winning the runoff. When fractured voters have to decide between two candidates, the majority of total voters has been known to shift the course of an election. That’s democracy! VOTER TURNOUT HAS HISTORICALLY INCREASED FROM A MUNICIPAL TO A RUNOFF ELECTION. Further, using voter turnout from Jersey City's 2017 December runoff to show reduced turnout is not an acceptable baseline for making that argument. In that particular election, Jersey City's Mayor, Steve Fulop, won on the first ballot with 77 percent of the vote, as did 5 of 9 Council candidates and none of their names were on the runoff ballot. As such, it's logical to see how overall voter turnout decreased proportionally when there weren't as many races left to decide. It has been suggested by some that the additional cost of the runoff is $140,000, without explanation of where this number came from. Looking back, it appears to reflect the number that was used in 2012 for the savings relating to moving our municipal elections from May to November and eliminating the runoffs. The City Clerk has estimated that a runoff election would cost the City around $10,000. For the ten positions (1 mayor and 9 council members) that oversee a $117,000,000 budget, don’t you want to make sure you elect the right people? IF A RUNOFF IS NEEDED, IT WOULD BE IN DECEMBER, BUT NOT DURING THE “HOLIDAY SEASON”. Pursuant with NJ State law, if a runoff is needed, “the run-off election shall be held at a special election on the subsequent Tuesday next after the first Monday in December”. Also keep in mind, if a candidate earns over 50 percent of the vote on Election Day, no runoff would be required. INSTANT RUNOFF / RANKED CHOICE VOTING IS NOT PERMITTED BY LAW AND WONT BE FOR OUR NEXT ELECTION. Last January, the Hoboken City Council unanimously approved a resolution urging the state legislature to consider passing law to allow municipalities to adopt instant runoff elections. If and when the state does permit ranked choice voting, Hudson County would still need to source new software and voting machines, implement new voting processes and policies, train election workers and educate voters on the new voting system. Even supposing that instant runoffs were approved by the state legislature this year, they would not be fully implemented in time for our next Council election in 2019 or mayoral election in 2021. ILLEGAL VOTES ARE MORE OF A PROBLEM IN A CROWDED GENERAL ELECTION THAN IN A RUNOFF. All elections are sadly targets for vote buying, but runoffs make it harder for the illegal practice to be successful. In a runoff it would require thousands of bought votes, in two elections. In a crowded general, it would perhaps require only a few hundred, once. The smaller voting blocks that multiple-candidate general elections create make vote buying far more possible while runoffs dilute that. With summer (finally) here, I wanted to quickly update you with what's going on around Hoboken and in City Hall. From a new dog park in the first ward and plans underway for Court Street to standing up for equality and good government, it's been a busy spring! A new city engineer and construction manager for all our infrastructure projects. Historic preservation design guidelines - a long overdue first step in preserving our historic architecture. A conceptual rendering of what the dog park could look like. Please submit your thoughts on the project by clicking here. For too long dog owners in the dense southeast have not had an adequate place for our K9 companions to play, and as a result we’ve seen an uptick in dog waste along our streets. In this years budget I've advocated for and City Council approved money to turn currently underutilized city property on Hudson between 1st and 2nd and turn it into a much needed dog run. Unlike other municipal dog runs, this one will be covered in permeable turf and not gravel so our dogs won’t come home covered in mud. This combined with the rollout of new garbage cans should help the administration combat rogue dog waste. More detail will be made available as planning gets underway, in the meantime -- please submit your thoughts on the project by clicking here. After we earmarked money in last year’s budget, the City will finally begin fixing the sidewalks abutting court street this summer. The disrepair of the sidewalks has long been a detriment to seniors, families with strollers, the disabled...and just about everyone that walks by. Additionally, in this year’s budget, I secured funding for a complete engineering study of Court Street - a long overdue action plan on how to best repair and preserve our city's most historic street. I will keep you up to date as planning gets underway. As I mentioned, the City Council approved the mayor's request of $118.6 million and you’ve always known me to be upfront and honest with you, so I’m going to say something you won’t hear from anyone else -- our taxes went up. You won’t see any impact to your individual tax bill though and the reason is something you need to be aware of as we move forward -- the City added $1.6 million in new residential construction over the past year and for the first time in eight years, we dipped into our “rainy day fund” by $1.4 million. So the rise in taxes was covered by more residents using practically the same amount of city services while tapping into our emergency savings. The biggest cost-driver was health insurance, which increased almost $3 million. In response, the Council passed a resolution urging the mayor to go to market and solicit competitive bids and see if our current broker remains the best deal for the City. Surprisingly, the last time we shopped around for a competitive insurance contract was over four years ago and if the mayor is interested in cutting costs, we should start here. Also of note, the mayor’s office substantially increased it’s operating line by 30 percent — the first major increase in almost eight years. Contrary to state hiring limits, the mayor onboarded a political supporter to act in the newly created and questionably needed roll of “deputy chief of staff”, even though he already had a “chief of staff”. Carving out city jobs for political patronage at the taxpayers expense is everything that’s wrong with local politics. I endeavor to work with everyone, whether I agree with them politically or not, to ensure that policy always comes before politics. Though I prefer to keep my goals set on ideas and collaboration, sometimes the reality of Soprano-state politics confounds me and I simply refuse to stay quiet. In April, I spoke out against Mayor Ravi Bhalla’s acceptance of a donation that wasn’t just over campaign finance limits, but also because he attempted to give that very same vendor a $50,000 City Contract -- which if approved, would have been a stunning breach of pay-to-play. The City’s legal department not only failed to catch the campaign finance violation, but the mayor himself didn’t disclose the information and acknowledged fault only after I spoke publicly about the conflict. The same department that failed to catch this violation are the same lawyers that are charged with acting as an oversight authority and ensuring the mayor’s second job at a politically connected zoning and land use law firm. Given the mayors unprecedented decision to hold this second job, I will be introducing an ordinance at tonight's meeting to create transparency and see what, if any, conflict Mayor Bhalla's very active legal career has with his position as our mayor. Hoboken is planning to construct an eleven-foot tall industrial flood wall parallel to Observer Highway over the next two years. This levy will be funded by $230 million in federal grants with the goal of making our city more flood resilient. Though it is imperative that we remain committed to protecting Hoboken against future storm surges — the placement of the wall is ill conceived. After helping countless neighbors who had been incorrectly written parking tickets with time left on their meter, the Council recently passed my ordinance to safeguard against this unsavory practice. The new law now requires the Parking Authority to wait two minutes from the time a meter expires before writing a ticket, thus ensuring that all data has been correctly relayed to and received by parking enforcement officers. It also is a signal to the administration that the City Council discourages what many like myself believe to be predatory parking enforcement. This is not by any means “free parking” rather a check on administrative authority to ensure all relevant information has been considered before writing a ticket. When I first took my seat on City Council our Human Rights Campaign: Municipal Equality Index score was 51% -- second lowest in the state next to Patterson. After speaking out about this failing score and butting heads with the previous administration about it, I’m happy that we’re now at 92% and stand to score a perfect 100% this year. In April the City Council passed an ordinance sponsored by myself and Councilwoman Jabbour requiring all single-user bathrooms to be gender neutral. Concurrently, I was proud to sponsor a resolution with Councilwoman Giattino for more city services geared towards LGBTQ senior citizens and the transgender community. I was also happy to see Mayor Bhalla do what the last administration failed to — show support to the transgender community and sign an executive order acknowledging that gender identity is not a choice. I don’t play identity politics because there’s no gay, straight or trans way to fix a pothole. I may not agree with Mayor Bhalla politically and am deeply disappointed that he excluded me from speaking at the recent LGBTQ flag raising, but together we are products of Hoboken’s inclusive spirit and agree on equality....for everyone. Dining alfresco is synonymous with summer in the city, but believe it or not the bureaucracy and dated zoning governing sidewalk cafes has prevented many from opening up. I am proud to have worked with Council President Ramos and the administration on a long overdue ordinance that now gives restaurants more flexibility in establishing outdoor service areas. Doing so helps small businesses succeed and gives us all more opportunities to enjoy our city’s streets this summer. Mayor Bhalla vetoed the Council's ordinance to allow our community to collectively decide whether or not to re-institute runoff elections, using flawed logic for political gain, but the Council overrode that veto to give voters the choice. On Election Day 2017, Hoboken saw 6 candidates running for mayor and 14 running for City Council to fill 3 seats -- a political circus that confused and frustrated many voters. In response to residents concerns, an overwhelming majority (7-2) of the City Council approved a ballot referendum which would allow our community to collectively decide whether or not to re-institute runoff elections. Mayor Bhalla vetoed the ordinance, spreading half-truths and politicizing the issue, but the Council responded by overriding him (7-2) to let the people decide (click here to read the NJ.com article). This issue will now be voted on by the people, this election day - November 6, 2019 - not decided by establishment politicians like Mayor Bhalla who benefit from a flawed current system. Without runoff elections, true independent candidates face an uphill battle and a nearly impossible task to run for office without institutional support as crowded races favor the person who can raise the most money, the incumbent. That wasn’t always the case though. In 2007, Dawn Zimmer lost her election to City Council in a four-way race to a long-time incumbent, but won head-to-head in a runoff. Without a runoff, Dawn Zimmer would never have sat on the City Council...she would have lost in the winner-take-all scenario we have today. A similar outcome also just occurred in the 2017 Jersey City's Ward E runoff where the candidate backed by the establishment won in the general election, but lost to an upstart in the runoff. So, in blocking runoffs, Mayor Bhalla is essentially limiting the viability for independents to run for political office in favor of himself and candidates that he supports. Keep in mind, Mayor Bhalla was not supported by 67% of voters, earning less than 1/3 of votes and seeing runoffs would return majority rule, and his opposition to runoffs calls into question his ability to actually win a majority vote. It is further disappointing to see Mayor Bhalla not just deny Hoboken residents the opportunity to have their voices heard in a public referendum on our voting rights, but to also see him spread misinformation and half-truths while doing so. The Mayor cites reduced voter turnout in a recent Jersey City runoff where the mayoral candidate wasn't even in the runoff and fails to mention that the last time Hoboken held a runoff election for Mayor in 2009 turnout actually increased from the general election. Meanwhile, he suggests that he supports an instant runoff system that, while certainly worth exploring, is not currently allowable by state law and even if permitted, likely won't roll out before the next mayoral election. The mayor references “massive vote-buying” which although has significantly decreased over the years, is still sadly an issue but not unique to runoffs. Perhaps our mayor’s energies are best spent suppressing the referenced vote buying, not stopping the people’s right to decide whether or not they want a runoff election. Think about it, should we blame the voting process for Russian meddling, or should we aim to end Russian meddling? Sadly, all of this is meant to distract from the fact that Mayor Bhalla is concerned that re-instituting runoff elections would hurt his chances of re-election as he has not demonstrated the ability to secure majority support or to work collaboratively with his fellow elected officials. This is a deeply cynical ploy that puts politics over our city's values of transparency and openness. VOTER TURNOUT HAS HISTORICALLY INCREASED FROM A MUNICIPAL TO A RUNOFF ELECTION. The last time Hoboken held a runoff election for mayor in 2009 turnout actually increased from the general election. Mayor Bhalla's claim that voter turnout is reduced is not based in any recent fact and completely opposite of what we have historically seen in Hoboken (reference chart of comparable elections is included below). Further, using voter turnout from Jersey City's 2017 December runoff to show reduced turnout is not an acceptable baseline for making that argument. In that particular election, Jersey City's Mayor Fullop won on the first ballot with 77 percent of the vote, so his name, as well as the name of 5 of 9 City Council candidates who also won on first ballot, were not on the December runoff ballot. As such, it's logical to see how voter turnout increased when there weren't as many races left to decide. Now, had the most recent Hoboken mayoral election been boiled from six candidates to two in a December runoff, our own recent electoral history shows that at least the same number of voters would return to the poll to decide the direction of Hoboken for the next four years. It's just that important to our community.. INSTANT RUNOFF / RANKED CHOICE VOTING IS NOT PERMITTED BY LAW AND WONT BE FOR OUR NEXT ELECTION. In January, the Hoboken City Council unanimously approved a resolution urging the state legislature to consider passing law to allow municipalities to adopt instant runoff elections. If and when the state does permit ranked choice voting, Hudson County would still need to source new software and voting machines, implement new voting processes and policies, train election workers and educate voters on the new voting system. Even supposing that instant runoffs were approved by the state legislature this year, they would not be fully implemented in time for our next Council election in 2019 and very unlikely ready for the mayoral election in 2021. ILLEGAL VOTES ARE MORE OF A PROBLEM IN A CROWDED GENERAL ELECTION THAN IN A RUNOFF. All elections are sadly targets for vote buying and an election could be swayed if there is either a) high turnout with multiple candidates dividing the vote, or b) low turnout. In the first example, if we use the 2017 mayoral race, where the field of 15,000 voters was split amongst 6 mayoral candidates and, for arguments sake, take Mayor Bhalla's totally unsubstantiated figure that 1,000 votes were bought. In this hypothetical situation, if the election went to a runoff, so long as total turnout in that runoff is greater than 5,000 the impact of paid for votes in a citywide runoff would be less having two candidates vying for the majority. Likewise, for the second scenario let's use a lower turnout City Council ward race, where the electorate is significantly smaller and hypothesize say there are four candidates vying for one council seat (as was the case in Dawn Zimmer's 2007 council race). In this instance, lacking a runoff, somebody could win with just a few hundred votes, making paid for votes a serious impediment to honest elections. In either of the two instances, having runoffs require a higher percentage of the overall electorate which greatly minimizes the ability for someone to buy an election. THE COST OF A RUNOFF IS NOT $140k. Mayor Bhalla has suggested the incremental cost of the runoff to be 140k, without explaining where this number came from. 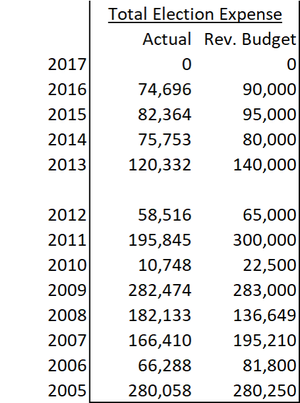 Looking back, it appears to reflect the number that was used in 2012 for the savings relating to moving our municipal elections from May to November and eliminating the runoffs. The City Clerk has estimated that a runoff election would cost the City around $10,000. Will you stand up to hate + election tampering? Friday night, a disgusting, racist flier calling my colleague and opponent Ravi Bhalla a “terrorist” appeared in Hoboken, and it was made to look like it came from my campaign. The flier is a crude, photoshopped copy of a previous mailer with a racist epithet added. This is gutter politics at its worst -- we’re working with the Hoboken Police Department and all relevant authorities to find out who perpetrated this smear and who is trying to paint the campaign we’ve built together as racist. Immediately, I spoke out not just about this vile attempt to divide our city, and also against several previous instances of hate that have been displayed, from an anonymous flier calling me a “crime boss” to Super PAC campaign lies blaming me for a tax increase that happened seven years before I was in office, to hate-fueled blogs and attacks on my sexuality and my partner. This campaign has shown the worst of Hoboken, but we won’t let hate win -- stand up and vote this Tuesday for the new energy our city needs by supporting Team DeFusco. From the start, this campaign has been about shaking up the status quo and evidently we’ve made an impact, with powerful forces aligning to take us down. But we won’t let that happen. We’re working as hard as we can through the finish line, knocking on every door and meeting every resident we can to spread our message of positive change. Please help us spread the word by sharing the video above. Thank you, and on to victory on Tuesday. Today the Hoboken Police Department confirmed an outside actor or actors with no connection to my campaign distributed a faked, altered version of my literature with a racist epithet. This is not only an attack on my colleague but also on my own integrity and on my campaign. This was a calculated criminal act designed to sway an election. I urge all Hoboken residents to review this video footage and images and please contact Hoboken Police at 201-420-2131 or 201-420-2106 if you have any information about the person(s) seen here. We must all stand united against this kind of racism and interference in our democratic process, and not let fake news and misinformation change the outcome of this election. Political stunts like this are everything that’s wrong with politics today and I’m horrified to see this happening in Hoboken. A disgusting, racist flier was found on car windshields tonight that altered one of my campaign's mailers and added a racial epithet aimed at Ravi Bhalla. I condemn this piece of racist garbage in the strongest possible terms. Hoboken is far better than this and whoever made this flier is not only insulting one of my opponents in a despicable way, they are also painting me as a racist, which as the only openly gay elected official in Hudson County and a progressive Democrat simply could not be further from the truth. I called Councilman Bhalla tonight to assure him that although we disagree on many issues, we can stand united against this kind of racism infecting our city. I’ve also submitted a copy of this flier to the Hoboken Police Department and will be sending it to the Hudson County Prosecutor’s Office to demand an investigation to determine who is intentionally misrepresenting my campaign. This injustice will not stand and we will do everything possible to get to the bottom of it. Corner Stores Can Fill Potholes. It All Works Together. Throughout this campaign, we’ve presented a lot of big ideas — modernized parking garages with real-time availability of spots, a seasonal dome over the field at 1600 Park and a European-style market at the train terminal, just to name a few. These are certainly exciting ideas but the question I hear a lot is “how are you going to pay for it — raise taxes?” Absolutely not. We’re going to stabilize taxes by creating new revenue sources for the city that aren’t on the backs of residential taxpayers, and without negative streams like the $6.5 million we generate from parking tickets. This summer, it was revealed that Hoboken has racked up a previously unreported, completely unbudgeted debt of $8.3 million to Suez Water, our city's water provider, that has increased unchecked for the last two years. Residents are outraged and I’ve called for an independent DCA investigation to find out how this debt could have accumulated without public knowledge. Only one major political figure in Hoboken was silent when this issue was brought to light -- Councilman Ravi Bhalla. The reason why is important to understanding why he’s not the right choice for Mayor. Bhalla was forced to recuse himself from all votes and discussions on the water contract because of the potential for a major conflict of interest, but that doesn’t answer all the questions on this issue. The Zimmer administration began renegotiating the Suez contract two years ago, before Bhalla’s potential conflict was exposed. Mayor Zimmer has described Bhalla as “my partner from the beginning” in a recent letter she sent to voters endorsing him. Does that mean that Bhalla had a role in negotiating with Suez, even though he had the potential for a major conflict? 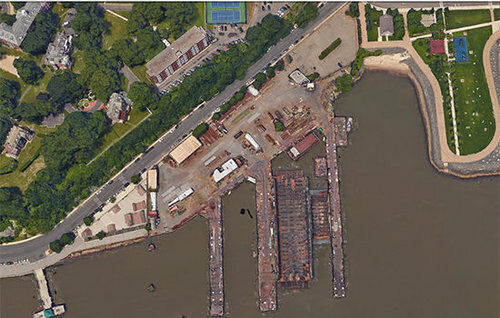 In 2014, the Hoboken City Council voted to approve a redevelopment plan for the NJ Transit Hoboken Yards property. Ravi Bhalla voted in favor of the plan, but during the same year the vote was cast the law firm where Bhalla is a partner was paid $168,630 by NJ Transit. This created a potential conflict of interest and possibly a serious violation of state ethics law. Bhalla’s law firm, which had $3.8 million in government contracts last year, continues to work for NJ Transit to this day according to its website. Bhalla’s vote on the NJ Transit redevelopment plan appears to be a violation of the law given that his law firm has a long term business relationship with NJ Transit, billing hundreds of thousands of dollars each year for personal injury defense work. Bhalla did not disclose any potential conflict prior to the vote and chose not to recuse himself. I believe that Hoboken needs a new perspective so we can solve our longstanding problems and create a better future. That's why I ran for First Ward Council and defeated a 21-year incumbent, because I think we should always challenge the status quo. I’m not a part of the political establishment and as a private sector media professional at a Fortune 500 company I have no ethical conflicts. I’ll work to reduce flooding in our neighborhoods by fixing our failing infrastructure, and I’ll also prioritize renegotiating the Suez debt to protect our taxpayers and our city. The same can’t be said of Ravi Bhalla. Hoboken’s Future Will Be Decided This November. Before you Vote, Check the Facts. Over the last few months, we’ve been talking about big ideas for Hoboken’s future together, as well as the necessary changes we can make right now to make our city work better. But now Election Day is almost here, and I think it’s time to take a look not just at what I’m proposing, but who I’m running against in this race. All of my opponents have positive attributes, and this isn’t about personal attacks. But I think you deserve to know more about their backgrounds, because we can’t solve the problems in our city with the politicians who have helped cause many of them. This is why I think it’s important to check the facts about the candidates for Mayor. Councilman Ravi Bhalla is a partner at one of the most politically connected law firms in the state, with over $3.8 million in government contracts last year. Although he initially denied a conflict, he was forced to recuse himself from voting on the city’s water contract when it was revealed that Suez had paid his firm $240,000 in lobbying fees over the last two years. He’s also been subject to two lawsuits for violating residents’ first amendment rights at city council meetings, one ongoing and one that the City settled at taxpayer expense. Freeholder Anthony Romano is running for two offices at the same time, both Mayor and Freeholder. 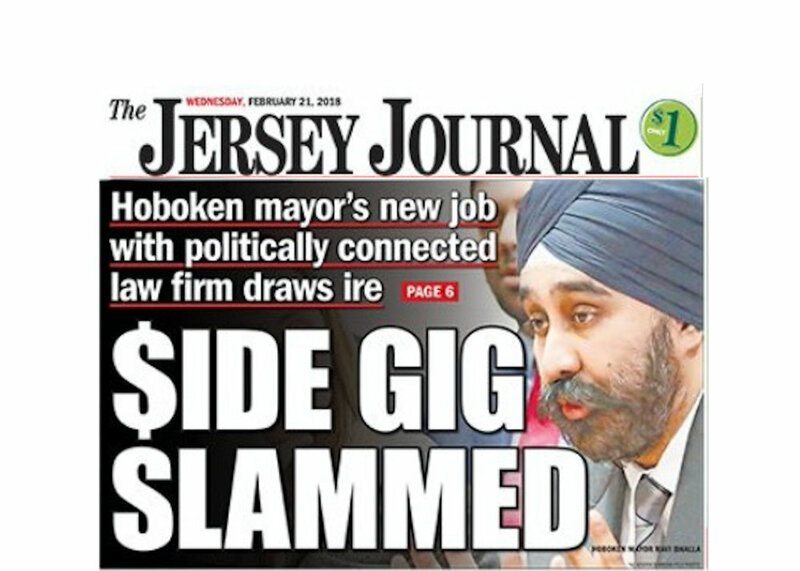 He’s a career politician who lives in subsidized housing, occupying an apartment that could be used by a family who needs it, even though he collects two government paychecks (a pension and Freeholder salary) worth over $160,000 per year and has substantial real estate investments in Hoboken. Romano has been a Hudson County Freeholder for over nine years, and during that time Hoboken’s county tax burden has increased by 86% to over $70 million. As City Council President, Jennifer Giattino presided over city government during a time when we racked up an unreported, unbudgeted $8.3 million debt to our water provider. She also sponsored an ill-conceived flood ordinance which is now causing the destruction of historic brownstones, placing huge financial burdens on homeowners and displacing long-time residents from affordable garden level apartments. (Ordinance Z-263 2nd reading 11-6-2013 sponsored by Giattino, seconded by Mello). Now, she’s pointing fingers and asking for an explanation for something that happened on her watch. I’m the only candidate for Mayor with no personal business interests in Hoboken and nothing politically to gain. As a private sector media executive in Manhattan, I’m not part of the political establishment. I ran for City Council because I saw that the longtime incumbent representing my neighborhood wasn’t getting the job done. I knew I could deliver more to my neighbors, and I’ve done that by reducing traffic congestion in the Southwest, improving pedestrian safety on Newark Street and securing a commitment from the operator of Hoboken Train Terminal to open an outdoor French market next year. Now, I'm running for Mayor to be a problem solver for all of Hoboken, to make our city work for everyone -- I hope you'll help get us there on November 7. Fourth Ward Councilman and former State Assemblyman Ruben Ramos is endorsing Mike DeFusco for Mayor along with the Team DeFusco Council slate in the November 7th city election. Ramos was elected decisively in 2015 and has partnered with DeFusco on numerous issues on the city council, from improving traffic conditions in the Southwest to pushing for better pedestrian safety on Newark Street and more. DeFusco is running for Mayor along with Council candidates Michael Flett, Andrew Impastato and Vanessa Falco. Mayoral candidate and Councilman Mike DeFusco is calling for an independent investigation into the recent revelations that the City of Hoboken is carrying an $8.35 million liability to Suez Water for infrastructure repairs over the past three years, a sum that was not accounted for in any recent city budget, or listed on the city’s audit. Speaking about the liability at last night's City Council meeting, the city's auditor claimed he just became aware of the sum “yesterday” while the City's Business Administrator, Steven Marks, first was alerted of the presence of the liability “a year ago” but claimed to have not realized the extent of the debt until “a few months ago.” The liability came to light due to the administration's push for a new long term contract with Suez, seven years before the current agreement is set to expire, and the questions raised by DeFusco and other members of the City Council. DeFusco has sent a letter (attached) to the State Department of Community Affairs, which oversees local governments, outlining the situation and requesting an official investigation. At a previous meeting Councilman DeFusco revealed that Councilman Ravi Bhalla had a potential conflict of interest due to his work as a partner for a law firm that Bhalla has now admitted counts Suez as a client. The firm’s business dealings with Suez date back at least to 2014, which was the year Hoboken began negotiating the proposed new contract. Ravi Bhalla has since recused himself from Suez related discussions and votes.